You may receive the vaccine during a regularly scheduled appointment or by making an appointment in the flu clinic. As a Recognized Level 3 Patient Centered Medical Home, providing high quality care to our patients is a top priority. We provide flu vaccines to everyone ages 6 months and up. We have an on-site Pharmacist, certified Physician and/or certified Nurse Practitioners on staff to answer any questions you may have about the flu and the flu vaccine. Don't hesitate to ask any of our certified medical health professionals questions about the flu vaccine. 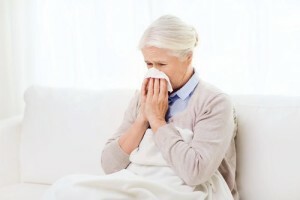 If you have any concerns about the safety of flu vaccinations please ask your healthcare professional at Cary Healthcare associates so that you can make an informed decision. We can protect every member of your family from the flu vaccine. Some places will not provide a flu shot for a 6 month old child, but we do, safely and professionally. As a family practice, we are well equipped to protect your entire family from Influenza. It is important to vaccinate toddlers since children ages 6 months to 59 months have a greater risk of getting the flu. Your flu shot is covered by insurance. See our list of insurance carriers we accept. People generally start to show symptoms of the flu around 2 days after exposure and the symptoms last around a week. Coughing may linger for another week or so. Nausea and vomiting may occur in children experiencing the flu, but it does not commonly happen among adults. Why should children get a flu shot? Children tend to have a greater risk of experiencing more severe symptoms of the flu. Children with the flu can experience diarrhea and even seizures. Every year thousands of people die from the flu. Many more need to be hospitalized due to the severe symptoms they are experiencing as a result of having the flu. Those who get the flu shot not only protect themselves from getting the flu but also help prevent spreading the flu virus to others, including their loved ones.